The FvD is an open racist and sexist party. A few quotes: Party leader Thierry Baudet said about women: “The reality is that women want to be overwhelmed, dominated, yes: they want to be overriden.” Another thing Baudet said was: “I want Europe to remain dominant white and cultural.” The second man of the FDV, Theo Hiddema, once defended Rost van Tonningen, widow of a top NSB offcial during the 1930 and 1940’s. He said : “There is only one parliamentarian (…) and that is me who has raised the racial problem.” The NSB collaborated with the German nazis during the occupation of the Netherlands. Hiddema said about the NSB: “”If I had been a farmer at the time, I might have been persuaded to join the NSB.” About women Hiddema said: “Feminists are all little rascals, who seek an explanation for their own misery”. The FVD works together with several white supremacists like for instance Milo Yiannopoulos, Front National founder Jean-Marie Le Pen and many other fascist parties and think tanks across Europe and in the US. 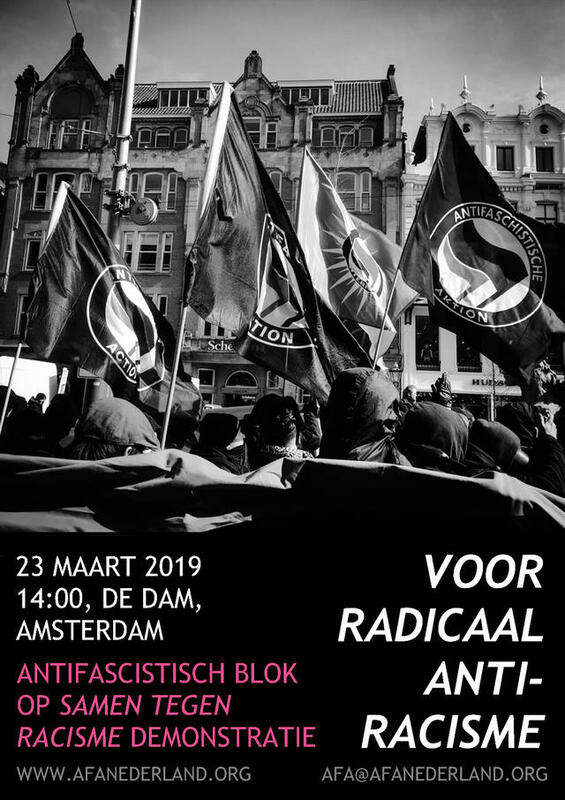 Tomorrow, Saturday March 23, there will be a demonstration against racism in Amsterdam. The demo will start at 02:00pm (14:00) atDam square. The demonstration is organized by a coalition of anti-racism groups and there will be an antifa bloc at the demo. Next post: #GiletsJaunes: #Paris is ours!